This funny and poignant memoir from celebrated familyman blogger Jason Good delves into the magic, fails, and meaning of fatherhood. Here he shares the story of his father, a charismatic, communicative, and affectionate man who taught him how to live and how to be a dad to his own two young sons. The moment Jason was told he would lose his father to cancer, and the year that followed, inspired him to reflect on how an imperfect father can be perfection in all the ways that matter in the end. 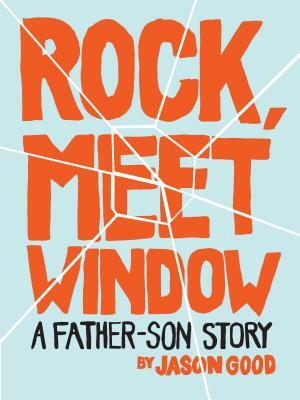 Exploring the highs, lows, and complications of fatherhood with tenderness and humor, Rock, Meet Window will have fathers (and mothers, too) thinking about those extraordinary qualities that make a good father so special to us all. Jason Good, also the author of This Is Ridiculous This Is Amazing, is a writer, comedian, family man, and the blogger behind JasonGood.net and the viral posts "3 Minutes Inside the Head of My 2-Year Old" and "46 Reasons My Three-Year-Old Might Be Freaking Out." He lives in Minneapolis, Minnesota.